In the last year, the crime of car-hopping has been on the rise across the state of Florida. 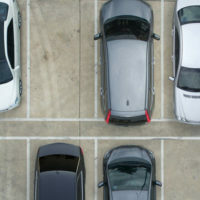 Typically car-hopping involves going from vehicle to vehicle in a neighborhood or parking lot and checking the cars to see if their doors are unlocked. When an opened vehicle is discovered the individual will typically take anything of monetary value they find. The severity of the crime depends largely on what was taken from the vehicle. In the event that the individual took a firearm from a vehicle, the severity of the crime skyrockets. In most cases, car-hopping is known as a crime of opportunity and is often committed by juveniles or young adults. A group may go through a neighborhood and discover several vehicles with their doors unlocked. From there they will “toss” the vehicle and take anything of value. The group nature of this crime puts law enforcement in a tough spot as it is often difficult to determine who broke into which vehicle. However, surveillance footage and stolen property found on arrested individuals can help this issue. Florida law defines burglary crimes under State Statute 810. Burglary in Florida is typically defined as a crime where an individual enters a home, building, or vehicle with the intent to commit an offense therein. Thus, it must be proven that not only did an individual unlawfully enter the premises, but that they also intended to commit a crime. The most common crime committed during a burglary is theft. In the event that the theft involves a firearm, the punishment for the crime dramatically worsens. Under most circumstances, burglary is considered a third-degree felony punishable by five years in prison. However, during the course of a burglary, if the individual commits a battery, assault, or comes in contact with a deadly weapon, the charges increase in severity. If a person commits any of these offenses during the burglary, the burglary becomes a first-degree felony carrying a potential sentence of life in prison. These laws can be particularly harmful to an individual who breaks into a car–who is not armed and has no intent to steal to a weapon–but finds a weapon in the vehicle and takes it. The act of taking the weapon alters the person’s potential sentence from five years to a life sentence. It should also be noted that each car that is burglarized is considered a separate offense and each offense will be punished individually. Many are critical of the harshness of these punishments, particularly for an individual who did not approach the burglary with a weapon or means for violence. Unfortunately, Florida law is designed in a way that provides for this dramatic jump in sentence. In the event that you or someone you know is charged with burglary, it is critical that you immediately hire a criminal defense lawyer. The right lawyer can be invaluable as you fight for your freedom. The road ahead after facing criminal charges can be daunting and complex, fortunately, the lawyers at the Baez Law Firm have the experience and expertise needed to aggressively advocate on your behalf to get the best possible outcome in your situation. If you have been charged with burglary or theft, contact the Baez Law Firm today for a free consultation.